Welcome to our sixth welcome thread (prior ones here, here, here, here & here). i am new member of the seo .i am confirm that this will help me.i will get extra information from this. First of all i would like to thank Aaron, Giovanna, and the whole SEO Book.com team for providing me the FREE Tools. I am ready to dive into this info hub and will try to contribute some from my side, what i have learned from my last 3-4 years experience in SEO and Internet Marketing. Just a note to say hi and thank you for the seo tools. I'm looking to get more traffic to my website and am excited to find what appears to be very useful help. Hello! I'm a copywriter / web developer who is starting to get into the SEO stuff more and more now. Great site! Trying to help a buddy get a site up in rank while he is away for a bit but starting from scratch. Can seem a bit overwhelming but just like anything else, one step at a time. I started learning about SEO a while ago, but never really took the decision to delve deep into the subject. Well, now that I'm unemployed I decided to shift my career and start REALLY learning SEO, PPC and Marketing so that I may make a living, either by myself or at a company. Thanks for the free tools. I actually find your website a bit overwhelming and not really knowig where to start, since you give so much stuff away, I am actually a bit confused, but hope to get a clearer view soon. Thanks for the ranking tool! - its addictive! Guys - thanks for the SEO rank tool. It's quite addictive. I check our ranking at least once a week against our favourite keywords (IT Support etc). Our site, ITS - The IT Solution was getting left behind by the competition. I've used your tool to help us focus on our keywords and get us back up the lists. Hi Thanks for the tools and the firefox add on's they are great been following your site for a while and enjoy all the useful information here. Going to get started on helping http://www.cookercentre.com rank more competitively. Hi, I am an Entrepreneur, Web Dveloper and Music Artist, I am intending to develop a few dynamic websites and want to get to grips with Seo. Thanks you so much for the free tools. I would like to know how the paid subscription works? Will Aaron Wall will going to teach us? will there be a somewhat like a webinar? Or the $300 value is for the access rights for all the resources only? Is this a - teach yourself site? or will there be mentors around that will guide as to start? where in the site can i see the course outline? so the bulk of the value of the membership site for most people is the member forums. most of our training sections are textual content & if we didn't offer the forums we could sell access to just the training bit far cheaper, but I personally have made over 30,000 posts in the forums & we have loads of great members who contribute loads there. the primary value of the site is if you want/value great advice with context & if you ever have questions about anything of course you can start a new thread. we respond to most all of them the same day. Its great to think this invaluable information is free! Thank You so much, looking forward to seeing the difference it makes to my AGA Service page. Wow it's an honor to be here and part of a thriving community. I just wanted to stop and take a moment to say hello, my name is Ryan. For the last decade I have been digesting material around making money online, SEO, blogging etc. I have been hired for a top 1000 ecommerce business and I want to grow their SEO presence. I am hoping to gain a better control and understanding of the complexities of SEO to improve the bottom line ROI within the marketing channels. BTW Aaron I see you are in Oakland if you are ever free I am a hop skip and a jump over in Concord to meet for coffee. Hi. I am new to SEO and stuff. A friend directed me here and by the looks of it, I am officially impressed and would like to learn everything I can about SEO. I hope after learning maybe I can start something sideways to earn. This is really exciting to be able to have access to all that's here. Thank you. I look forward to learning so that I can take my website to the next level. Hi all - first I'd like to thank Aaron and everyone responsible for the time and labor involved in creating a very interesting community nest to gain knowledge and information for FREE. I was employed as a "Digital Advertising Designer" for six years with a major Broadcast Media Corporation in the U.S. but was recently canned - oh noes! life goes on, with or without me. I truly loved that job - it was a job that I didn't know when work started and fun ended - and I believe I did my job well. Having to get back out and play the interview-game has really been annoying. After graduating college, potential employers looked at my resume but told me they wanted someone with experience - now that I have experience and have a record of stability (at least until I was kicked off the ship) no one seems to want me. I must say, I wasn't terminated for insubordination or anything like that and all my co-workers were shocked, but I guess that's just the game you play when employed by a major media corporation. Maybe I was too optimistic while in conference calls with all 5 of my bosses, as they were pointing in multi-dimensional directions. So I'm here... Don't know where to start other than the first page, then the next. I hope to gain knowledge, insight and maybe direction by lurking and reading from this site. I genuinely hope that my jobloss was nature inducing a push to help me find my niche and perhaps be an independent business owner. I have the optimism, I have the passion, I have the drive but I lack direction. Best of luck with finding a new job & I would certainly suggest at least creating one or two sites of your own in the background to learn on and experiment with while you hunt for a job. I am from the East Bay area ... just across the bridge from you. My name is Reed and I'm an SEO Associate at Volusion Inc., an ecommerce software company. SEObook has greatly helped me succeed with my SEO efforts. I have never done any kind of website anything, other than surfing sites. Now I'm trying to put together my own web site. THANK YOU so much for all this information. You have provided a fantastic service for my beginning freelancer business. Not only do you provide quality information, but also you did NOT make me feel like an idiot for not having any prior understanding of the whole "build/run a website" deal; that was much appreciated! ...in getting started with the web. Google certainly keeps increasing the barrier to entry, so it is much harder today than when I got started a decade ago, but there is lots of good advice & lots of great tools available that help offset the increased complexity, at least to some degree. Hi I'm Stam, I'm a new member in SEOBOOk , I'm here for learning the secret of seo because your site is best one in internet. Hello from Amsterdam / NLD, other Dutchies around? I am running a business in the NLD (sportsoriented) and trying to expand in another direction by focussing more on SEA and in the future SEO. Probably I will start with an adwordscertification. Aaron, So far I have enjoyed lots of tools that I found here. There is true value to be found here. Thank you for making this available to us. I was wondering, are there any Dutch people around here? Maybe we can get in touch. We have registered members from all over the world, so surely there are at least a few hundred Dutch folks in the mix, but I don't think too many people who join come back to check out the "say hi" thread a bit after the fact. Best of luck promoting your site(s) in search. I ws finally ready to roll my own site, of course a new domain hurt and probably killed everything that the last three years built up. but I am eager to get this new site up and running and let it enable me to create new and better photographs. My name is Brian and I am a SEO freak. I am very excited to join SEOBook.com. I must appreciate and would like to Aaron Wall for his personal gesture to each member since this forum has created. He is great. Looking forward to help and assistance from experts. I am new here. I want to learn SEO tools. Will you please help me out. I'm a local marketing strategist. I am here to learn expert search optimization strategies and competitive analysis in order to offer this as a service to my prospects. I have been outsourcing my competitive analysis, but want to learn to do this in-house. Looking forward to some great training. I was part of this community for a short while several years ago. I learned a lot from Aaron and now I'm coming back to learn more. I am new in seo while link building I am facing lots of problem. During profiling all the links posted are do not follow in that case what to do?? Hello every one, I have worked with SEO tools a very long time ago. SEObook.com has been very helpful with many of the web sires I have worked with. I have made a J.O.B. change and now have the time needed to work for myself. I see I have more reading to do because of the postings and to get used to the site again. Does anyone speak espanol? How about hebrew? Maybe cantonese? Well, as long as you speak xhtml, perl, asp, php and other computer languages we can "talk"
I‘m currently in the process of buying an online business. No doubt SEO will be a key element of my success. Looking forward to learning all I can! I'm starting a new web-based business and I'm looking forward to learning about SEO. I do in-house SEO for a big ecommerce company and am revamping/redeveloping my content, keyword, link building and outreach techniques. Looking for different ways of doing things to bring something new to the table. Feel free to ask me any ecommerce related SEO questions too! Happy to help. My name is Linda Cletus. I am a SEO Consultant based in London, UK with over 5 years of experience. I work for a SEO Consultant Agency called SEO Consultant London UK. I have expertise in all categories of SEO so feel free to contact me if you have any doubts. Search is moving away from direct literal words toward higher level marketing functions like branding. new in de world of SEO and looking forward to learn alot. Just wanna say Hi for you that have been here before me. I'm totally new in this SEO. Hope can have some guidance or inspiration or anything that likely. I am here to learn how to improve what we are already doing and to learn things that we are doing wrong that I can correct or that we are not doing that I need to implement. I hope that you will all be willing to share your knowledge and insight with me. As I learn things, I'll be happy to share them with you all. I just got my website out there but no one can find me. New to SEO. Where do I start? I'm from France, my website is http://www.simplware.com/ i just made yesturday actually, there is some sample of my work. I'm happy to help or to get advice!!! Hello, I am a web developer owning a little web agency. I ma the founder of Medieval Europe http://www.medieval-europe.eu, a small MMO game written in PHP. As I do some websites and e-commerce and i share revenues I decided to increase my skills on SEO. Thank you for the free tools i hope to learn a lot. We/my husband owns our own website development and online marketing firm. I recently left the financial securities industry to do something different and spend more time with the family. This is ALL NEW to me! Very scary but I am a quick learner. I need basic tutorials for keyword research, keyword density, content optimization, etc. Any recommended best-practice video tutorials broken into specific topics? We have a free beginner's guide series here & of course we have our paid member's area training program here. Some of our tools - say like the keyword density tool - give usage instructions below the tool. I look forward to gaining knowledge and ideas from this site. Hi all, this is Praiz and am fairly new to the seo world. I hope to learn from this forum and also meet with professionals in this field. hello,everybody ,i am a freshman for SEO. This is Muhammed. I am hungry to learn about SEO and how it works. i wanna know bout SEO... can't i learn bout that? I'm here to gain knowledge on boosting my website. howdy yall I'm here to get my SEO on, who's with me?! Hi there, I'm beginning to study and play around with SEO. I am grateful that I found my way here. thank you Aaron! best of luck with learning SEO! I blog at 3ptechies.com and am just getting along with SEO, learning the basics and what is it that works and what doesn't. Hopefully, I'll get the best here as well as contribute in little ways I could. i am new to SEO and have decided to learn as much as i can. i am looking forward to lots and lots of learning. Hi - I'm Amy and I have a job cold calling to get customers for my Logistics Job, refundlogistics.com, and I want to learn more about SEO so I can get clients for my site without cold calling. Hi everyone! I'm K.C. Richard and I'm glad to be here. I'm quite new to SEO and I found lots of useful information here. Thanks! I'm Mark Meloon and my day job is as a data scientist. If you're not familiar with the term, I use mathematics, statistics, scientific computing, and business savvy to pull valuable insights out of lots and lots of data. It's the in-vogue method of marketing among bigger companies and the Harvard Business Review has called Data Scientist "The Sexiest Job of the 21st Century". And (all modesty aside) with a Ph.D. in applied mathematics from the world-renown Caltech I'm a pretty good data scientist. What does this have to do with SEO? Well, my night job is as a digital marketer where my mission is to bring the power of data science to the small business and solopreneur. An important part of providing marketing services and products to these businesses is SEO. Plus, it doesn't hurt in promoting myself and my unique offerings. As the subject line says, I don't know as much about SEO as I do about other things so I'm eager to learn from you all and contribute when I can. Thanks for reading and I look forward to being a part of the community. As the barrier to entry has increased & data obfuscation has grown worse in many of the larger marketplaces like search, I think in some ways winning for smaller players with limited resources is likely often going to come down to soft skills more than hard data. It is quite hard to have a data advantage over larger players with more people in the industry, but it is quite easy to have a point of differentiation from an existing business by doing something they can't do because it would cannibalize their existing revenue stream, or to differentiate by passionately understanding what the market cares about and connecting on an emotional level. Of course there can still be huge advantages in how one chooses to format data or tell stories around it. But that is more along the lines of design and presentation rather than data science. Hi, my name is Jacqui and I live in Queensland, Australia. I have a small luggage and travel business and have just opened a new website where I now have the possibility of really utilizing SEO research to my advantage, if I only knew how. I am hoping that you will be able to teach me things that I can use to make my company better known in a very competitive and very large market. I am also fascinated by the concept itself and am excited at the opportunity to learn something new, so thank you! ...then it might make sense to test AdWords and Google Shopping / PLAs in order to try to refine your conversion funnels & increase your visitor values. Once you can afford to pay the rates Google charge for traffic then the value of any SEO traffic you get would be higher due to your higher visitor value. If you go back 5 or 10 years I would have advised almost everyone to start with SEO and then use any profits from that to invest in other channels. But with the increased barrier to entry in search today (along with the ad displacement of the result set in some key categories like hotels and ecommerce) in many cases I suggest trying to make the ads work first & then circling back to SEO. Of course, there are a whole lot of traps set up in the default ad settings to be aware of too. Hi there! My name is Andy and I live in San Francisco, CA. I work at a small startup, Joyable, which helps individuals with social anxiety, and one day with depression and generalized anxiety disorder as well. I am the Office Manager/Recruiter. I work directly under/with the COO, who is the head of the Growth team here and he knows how interested I am in working with the Growth team. He has given me the task of taking on SEO for the team and I'm super excited. I'm learning a lot really quickly and am so happy to have found this site!! Given Google's increasing barrier to entry over the past few years, if I made items in that sort of market I would probably either try to offer some popular fashion bloggers free gifts & hope they cover them and/or try to list items for sale on vertical marketplaces like Etsy. By selling on a vertical marketplace like that it perhaps could create a bit of lock in or dependence, but if you also build your own site you could use the brand strength, SEO momentum, and audience of a site like Etsy to drive your initial sales and awareness, then later push to sell more direct on your own site. Of course a big part of this comes down to pricepoint. The higher your pricepoints & the more custom the work the more it makes sense to sell on your own site & the less sense it makes to sell on a third party platform. This post is nearly a decade old, but the general advice in it likely applies across to the jewelry market quite well. I got started about 13 years ago. It was far easier back then than it is today. But things keep changing and the goal posts keep moving. The only constant is change. I signed up to this excellent site so that I can learn even more about SEO, tools and strategies. Looking forward to being a regular reader. Hi, all. My name is Laurel. I own the company PlanetEdit and am a freelance editor, proofreader, and journalist. My passion is helping businesses, universities, and nonprofits make meaningful changes in the world through high-quality communications—one word at a time. In past jobs, I dipped my toes into the SEO water. Now, I'm ready to enthusiastically dive into the pool! I'm grateful for this community and the resources SEOBook offers. Hi friend at this time I am visiting your website and reading very informative sound here. Actually, I am looking for a informative site about seo, google adsense and keyword research. Because, I have website called www.techtimenews24.com. I have a important section in my website, that is called google adsense. We all are trying our best to do the best on this section. But, I think your article is very helpful to us. Please don't stop to write these type of article.Thanks a lot. Hi my name is Annabel and I am a MLM marketer. People kept saying you need to do a SEO for key words and finally I have found the tools to learn how to do this. Thanks. Hello, My name is Thomas White. I have aspirations of achieving the statis of SEO/internet marketing expert. I feel I'm getting ready to step beyond beginner stage now. I've been studying with Market Motive and am excited about the tools and resources you have to offer here. I'm looking forward to making the most of it. My name is Chinedu Ngwu. I started working online a year ago with a goal of becoming a SEO expert and making more money online. Though I do not have enough knowledge about SEO, my skills are not that bad as well. I look forward to learning more from the professionals here, and I wish to say a big "Thank You" to the big brain behind this website. So glad to be in this community and partake of the tools and interaction. I'm Mike and have great aspirations to develop solid streams of 6 figure incomes using affiliate marketing and niche marketing, focusing on green marketing, sustainability, fun and leisure. I am a beginner in SEO and intend to expand my knowledge and understanding here so I can automate my SEO/Competition Research processes. Thank you Aaron Wall for setting this site up! Hello, I am Reinhard Mohr from Germany. I have been designing webpages for my customers for a pretty long time. And I am experienced in setting up content management systems as well. But I found that "SEO" and "Search Engine Optimization" werde still buzzwords for my customer. And that my customers were much more impressed by these SEO-Guys and their language – and that they were willing to pay more for that "science" than they were willing to pay for an "ordinary" web designer. I think you highlighted why there has historically been such a big rift between the web design and SEO industries. As the web saturated with content the theme of "if you build it they will come" was no longer true, which meant that client budgets shifted away from design toward marketing. Some designers saw the shift in client demand and defaulted to hating SEO, but others decided to change with the market. Many of the best SEOs in the world started off doing client design of one sort or another & then followed their client demands to the related fields like that. My name is Joy, and I'm a freelance writer with two canine supervisors who sleep near my desk. I'm looking forward to learning the SEO basics, the latest techniques for content optimization and keyword research, and whatever else I need to know in order to deliver the best content for my clients and support myself writing from home. Thank you Aaron for creating this site, and I look forward to learning from all of you and participating in this site! Hi, I am an accidental web content writer and I discovered that I do need to marry my creativity with SEO, so I am here to absorb and learn as much as I can really. I do apologise from now if any of my questions sound ridiculous, but like the old adage, nothing ventured, nothing gained, right? I look forward to reading more on your blog posts and here on this site. Thank you! I had the same type of excitement you are expressing when I first got into SEO. I am amazed to the fact that the most reliable, trustworthy, and relevant information is for free! Much of the best information is no longer freely accessible. Conventional (but false!) wisdom is that over time the SEO industry has become more transparent. Though the truth is actually the opposite. Many of the best & brightest no longer share publicly & some of the most widely shared information publicly is an intentional distortion of some sort (over-hyping some small change as being a key to the castle for self-promotion, having an army of ghostwriters writing rehashed and outdated crap, etc.) and/or shilling for Google (promote their business interests and retain direct access, so you can sell more CPM-based ads & conference tickets). ...most people who enter the game are likely to fail. The SEO industry used to operate a bit like a meritocracy where if you shared good advice people could implement you would get links and awareness and perhaps some monetization opportunities out of the exposure. But now if you share your best work most the people who lift value from it are likely to not cite you. To appreciate how absurd the market is in terms of sharing, I've even seen a person write a blog post trashing me where the guy who wrote it also stole our about us page and slightly reworded it & used it on his side. When markets are growth markets & they are controlled by new and altruistic people who are not beholden to investor interests or various forms of corruption then open sharing happens. When markets rapidly shift from growth markets to shrinking markets then there gets to be a lot of back stabbing & not so much of the open, honest, full-transparency stuff. If you knew some of the back stories some of this type of stuff was widespread even a half-decade ago, but it is much worse now. Though I am new to SEO, I hope to dig in deep and learn a lot. I run a small press in Slovenia. I'm trying to dig out as many info about SEO as possible, because we are launching our first e-books and preparing a web portal as a support for books, authors and reading promotion. Hello, I have been involved over the IT management business for some years and now back into the world of SEO and PPC, and getting up to date, so far I found very good tools on your site that I will be testing soon. 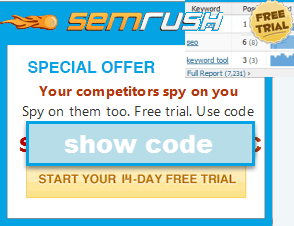 QUESTION: When I first logged in I saw an offer of some credit to spend in PPC adwords, etc. that I was not able to go back to use. Aaron, can you help me find it? Hello, I own a stone, tile and landscaping installation business. I am researching SEO to drive traffic to Website and grow my business. I am just getting started and although I consider myself moderately technical savey this is a lot to take in. I built my website in 2014 and am now in the process of redesigning it. Hello Aaron, I lost my 9 to 5 job since Feb 16 and have been wondering around to look for what else to do. As I was doing market research for a while, I found your site. Looking forward to learn more thru this site and take action. Thank you. ...where I would recommend an out of work person quickly and aggressively push into SEO provided they were hungry. however the feedback loops are slower now and the barrier to entry is higher. I would much more recommend doing SEO on the side while still doing something else at least until you get some decent revenue going from your SEO efforts. Hey, I signed up because I believe there are plenty of learning opportunities in the community. I'm a content strategist, SEO copywriter, and inbound marketer who is always learning new skills and I'm excited to work on any project that will teach me something I don't know. Looking forward to contributing here. I am developing my copywriting portfolio and find the more knowledge I can gather about online content marketing, including SEO, the better my writing becomes and will perform for myself and my clients. I'm excited to dive deep into this material! Hi I am owner of tronar.net. I had joined this community and hope better. Hello I am a web designer and I am interested in everything related to SEO positioning, I love solving development problems and working as a team. I ma just stopping by to say hello. I am an Online Marketer, and new Blogger! I was led here by one of my mentors, and I am looking forward to utilizing the tools and learning as much as I can. Hoping to be able to bring some value to the group. I can then pay it forward and backwards. I am a volunteer mentor with SCORE and work with other non-profit organizations to help share their stories with potential clients, partners and donors. All of these organizations have small staffs, and most of the SCORE clients have one or two people working. I am looking for ways to help them get the best SEO results with their limited time and resources. What are the most important things for them to do? Hello World! I'm from Poland and I'm newcomer here. SEO is an interesting field. I'd like to know more about it. Hello Guys. If there are things you are having problems with or getting snags from, don't hesitate to look for me. I'll always be there ready to help and share my knowledge. My name is David and i run an Astrology website. I am intereste din learning more about SEO as up to now i have been doing it through luck rather than a methodical process. I am a search engine optimization specialist & looking forward to learning new SEO strategies. I am still trying to figure out this SEO stuff. I have an online shop and have checked a number of sites and learned very little. I got this link to your site from one of Renae Christine's webinar's, so am hoping that I will finally be able to figure what on earth I am doing on my SEO ;-) Thanks for all the info that I have already read, it makes a bit more sense now. Hi, i am Martijn. Hopefully with the help of Seobook I can get my webshop higher in Google. introducing myself to the site. SEO is a bit of a hobby, i run a few charity sites and manage a couple of websites for friends business (self catering, nursery etc) so would be good to learn how to make their sites better in this tough market. In my spare time I like biking, running and I volunteer as a Search and Rescue crewman in the UK. Thank you all for making these tools available. i'm using them for my two websites http://www.allianceexperts.com and http://www.cooperatieexpert.nl. If you have any other suggestions, please let me know! How can I join your site? I think this can be useful with my work. I've been working for SEO agencies since 2011 and have been sharpening my teeth on progressively larger, more complicated, and expansive issues. I'm super interested in the technical nitty-gritty of SEO over the more PR and content marketing based stuff. I've used these tools before, but haven't engaged with this site as much - so I'd like to dig around and see what I can find. Hello All, I am so happy to be here! Hi my friends, My name is Mel and I am Owner / Senior IT Consultant of my own IT Services & Consulting firm, OdyTech, in the Northern VA \ Metro Washington, DC area. I have 23 years experience in the IT field and have held the following positions; Direct of IT, Sr Network Engineer at the FAA, Network Manager & IT Manager along with others. OdyTech has been open since 2014 and believe it or not I have never worked on SEO for my company. I now have the time and am beginning to piece together what all is needed. This site has already shown me a wealth of information. I hope to be able to gain more business for my company through SEO. Thanks SEObook! Hello everyone, my name is Soga and i am new to SEO, looking to learn some more. My name is Peter Kovacs and I'm a Hungarian-Canadian serial entrepreneur and avid traveller. I am from india. Interesting in getting more n more knowledge on seo techniques. This is my first time doing SEO stuff because of the need of my work. thanks for all of the amazing information provided here, i'm very grateful. Hi all. I'm fairly new to SEO, (around 15 months) and keen to learn all I can. I'm learning with Wealthy Affiliate, and even though their training is top notch, there's always someone else with something to offer, hey? I have four affiliate sites, and I'm not planning on spreading myself any thinner for now. Looking forward to interacting with everyone here. I'm Chris. I'm looking to draw more traffic to my blog and SlideShare sites to hopefully build interest in my fledgling consulting business. I read about this site in Tim Ferriss' book and decided to give it a shot. Hello I'm New To All Of This!! It feels like as if I've been on a journey looking for the right place to introduce myself. I made it and by the way I'm Charla. I see many areas on this website that interest me. Only I am unable to access them currently. I look forward to checking it out more when they are reopened. I am in proximity marketing and SEO has become very important to me. I promote a marketing tool that sends a notification consisting of a 40 character message to BlueTooth/Nearby enabled smartphones and you want a keyword that inspires a person to click thru to your weblink. So, I am interested in SEO anyways for my websites, but now with Google Nearby I want to be on the ball in a market that is new and here to stay in a huge way. Aaron Wall if by chance you read this and have advice I am open to listening to what your thoughts are. The devices are able to be used for any business, product, service, organization, etc. which makes for a lot of variables. My company has learned about spam words and stop words per Google so I'm very aware of this and how it takes a lot of vocabulary off the table. I hope anyone that reads this finds it moderately interesting. I actually do and I see humor in it as well. Google actually dropped our rankings, which we didn't really know we had. We do now and it just makes us better for the future. Hi all you beautiful people. My name is Ryan Davis. I am an Artist of any methods. I currently carry a series of products with my gallery @ FineArtAmerica. Really thrilled to be present with all of you. I am opening another store soon and I am here to optimize and visit with all you. Create to innovate to machine to program. You can Instagram me @impecablemoney and see more there. I'm from Toronto, and I've been away for the past few years. I used to fly under the radar, using the terricasablanca account. Hi, I'm always learning & trying to keep myself up to date...thank you for the information - it is priceless and I've recommended it to many friends & colleagues. I've been working on websites since 1994. Those days, you just threw up a website and everyone visited. Now, you need to be up on the lastest ideas. I'm rethinking a few things and thought this community might offer some ideas. I'm new and just getting started in all this and learning. Looking to learn all I can from this SEO community!